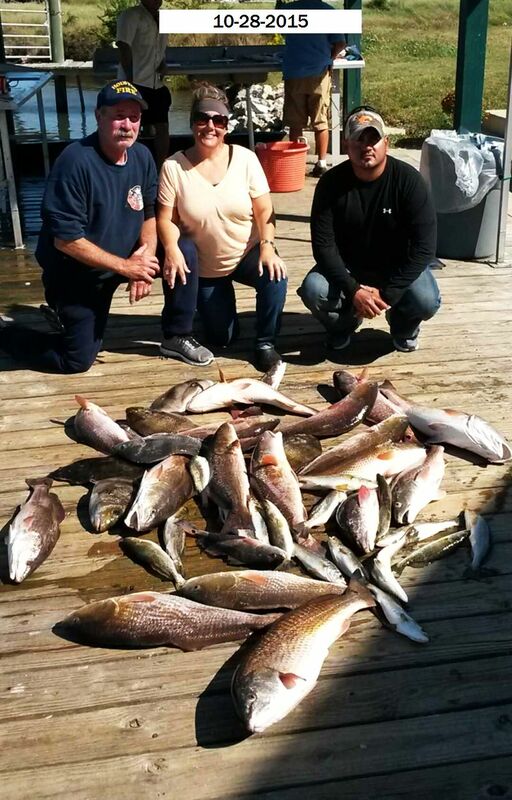 October 30, 2015 Another Nice Limit of Trout & Monster Reds for Captain Tommy!!! 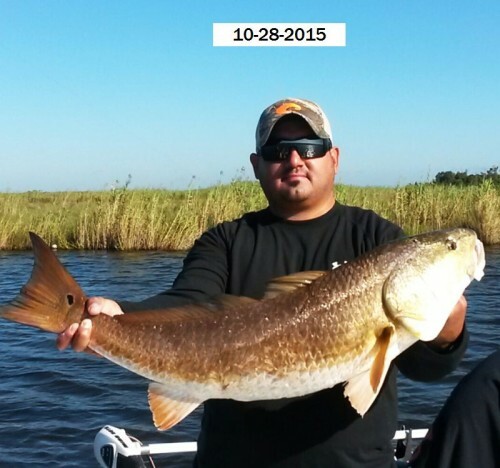 October 30, 2015 Another Nice Limit of Trout & Monster Reds for Captain Tommy! It just does not get any Better!!! 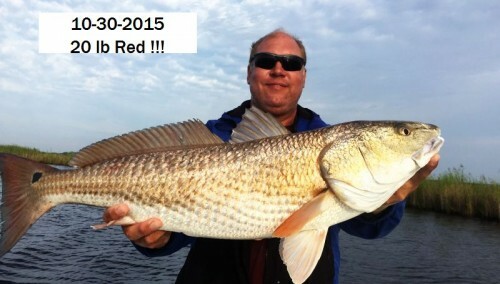 October 28, 2015 Woody, Aaron & Amy Have an Incredible Limit of Reds on Lake Calcasieu with Captain Tommy!!! 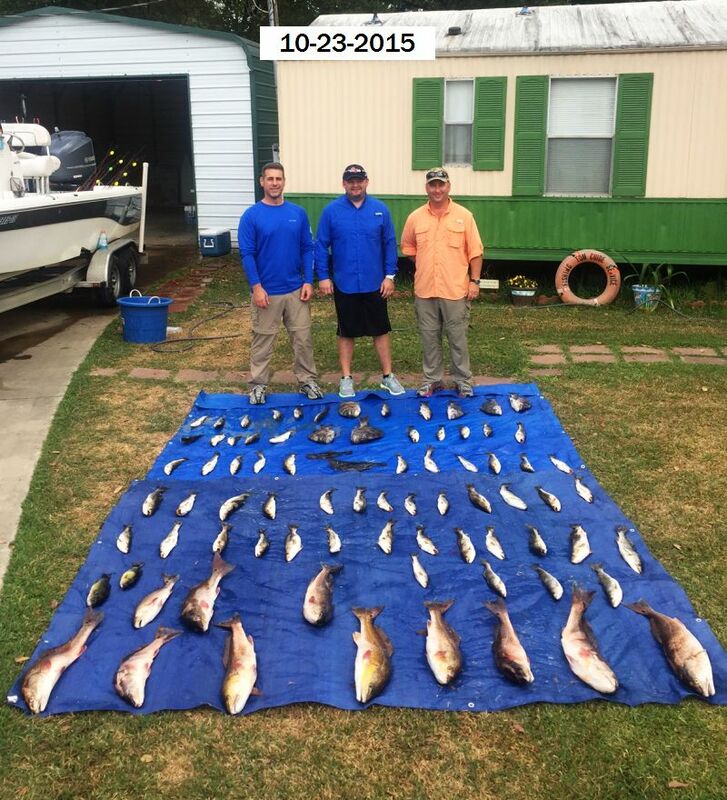 October 28, 2015 Woody, Aaron & Amy Have an Incredible Limit of Reds on Lake Calcasieu with Captain Tommy! 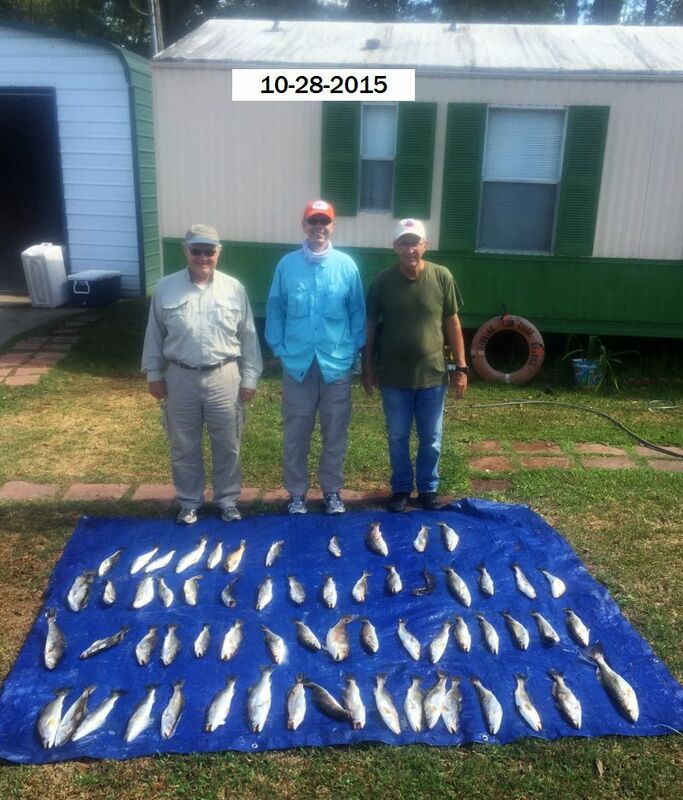 October 28, 2015 Leighton M. & Friends John & Bob Limit on Lake Calcasieu Trout by 10 AM with Captain Tom!!! 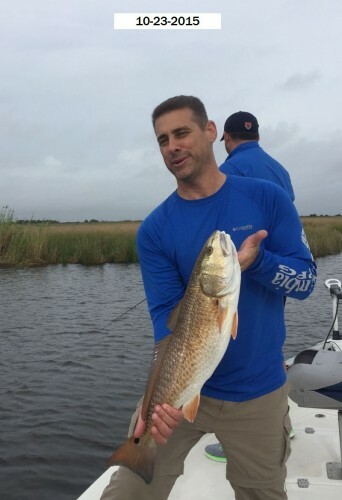 October 28, 2015 Leighton M. & Friends John & Bob Limit on Lake Calcasieu Trout by 10 AM with Captain Tom!! 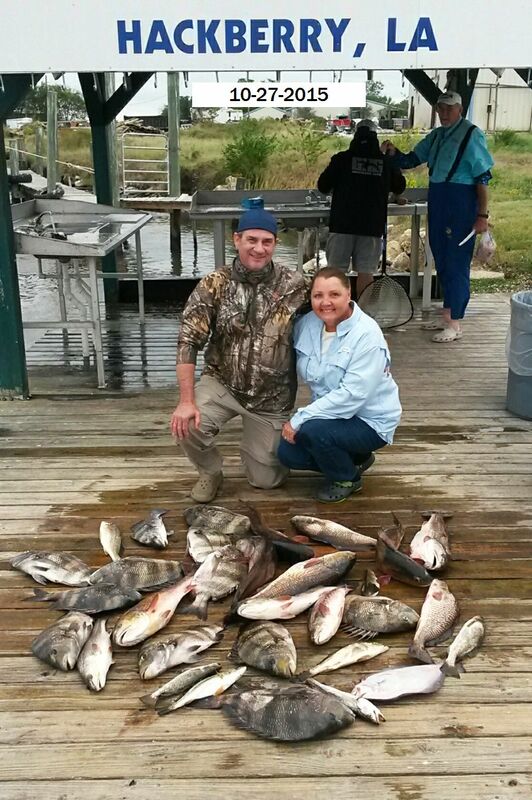 October 27, 2015 It was Big Fish Day on Lake Calcasieu for Danny H. & wife Carol with Captain Tommy!!! 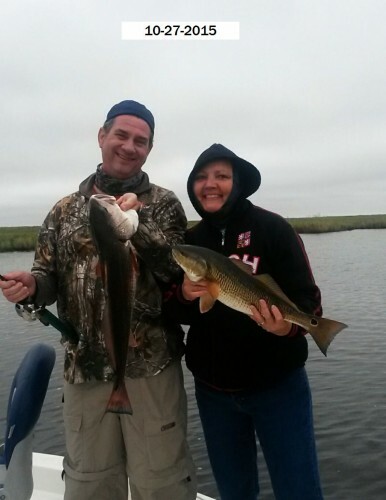 October 27, 2015 It was Big Fish Day on Lake Calcasieu for This Couple with Captain Tommy! October 23, 2015 Ronnie S., Steve T., & Brent B. Catch a Nice Limit of Lake Calcasieu Trout Plus Lots More With Captain Tom!!! October 23, 2015 Ronnie S., Steve T., & Brent B. Catch a Nice Limit of Lake Calcasieu Trout Plus Lots More With Captain Tom!! October 23,20215 Nice Day for This Group From The Casino Fishing Lake Calcasieu with Captain Tommy!!! 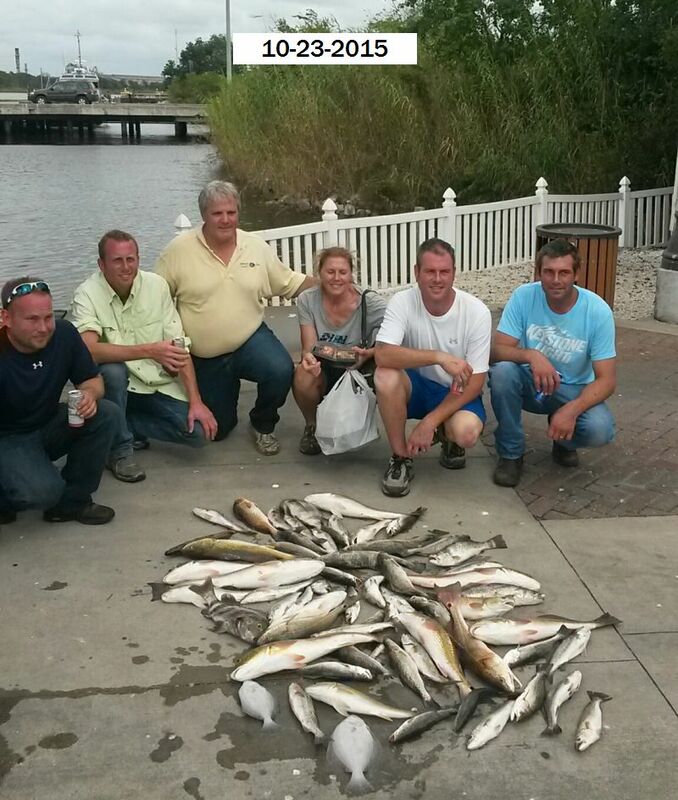 October 23,20215 Nice Day for This Group From The Casino Fishing Lake Calcasieu with Captain Tommy! !